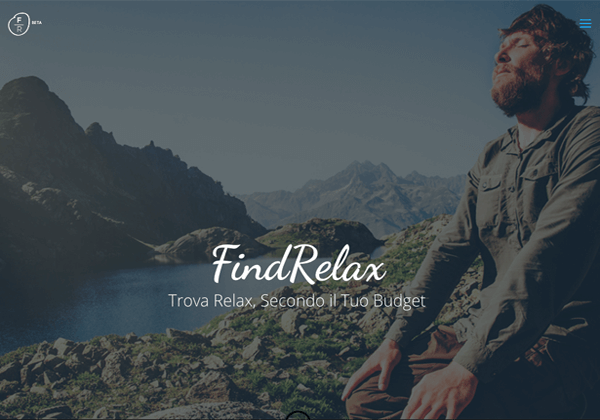 Find Relax is a Rome-based start-up who is working on a killer idea for a Wellness marketplace and app. The start-up’s CEO and Founder Jelena Hadzi-Nikolic called Massimo Burgio in as Marketing Director for the project, with the occasion of the participation of FindRelax as nominated finalist for a Start-up Accelerator competition (Accelerathon) held in Fiuggi (Italy) in November 2017. Our adventure with the Find Relax team just started, with some brainstorming sessions for the creation of a business plan and a solid value proposition for the project, and some first drafts of potential website presence. Watch this space for news and updates.